As you have noticed, the three of us have different taste in everything. We recently noticed that even our homes have different looks and feels! 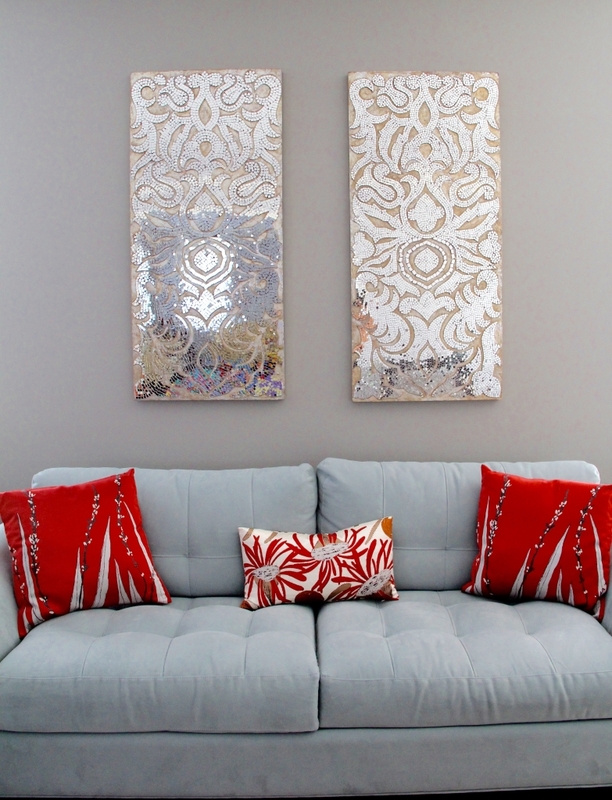 Dipti and Sachin moved into their first home a few years ago and Dipti finally got to explore her decorative creativity. Turns out, her taste doesn’t have much range. Three years later, her home is almost complete and has a very, very consistent look and feel. 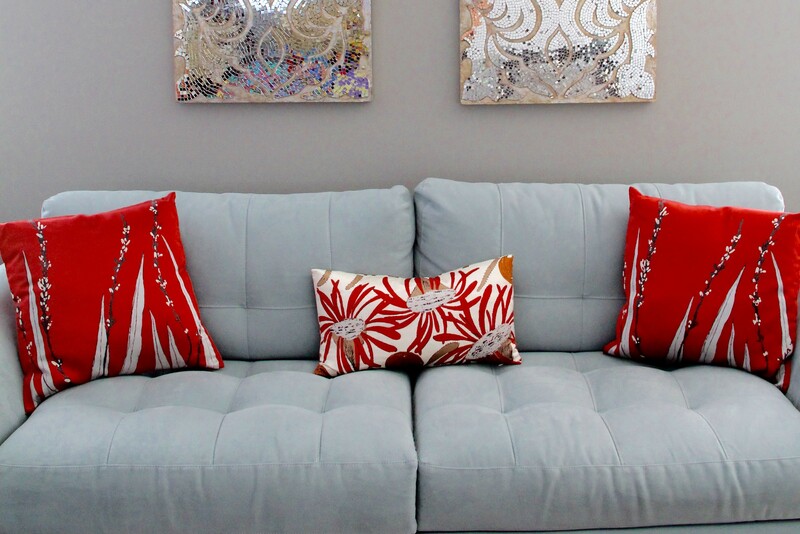 If she had to sum up the style of her home she would probably call it modern and comfortable (and gray!). Check out some pictures of her style below. 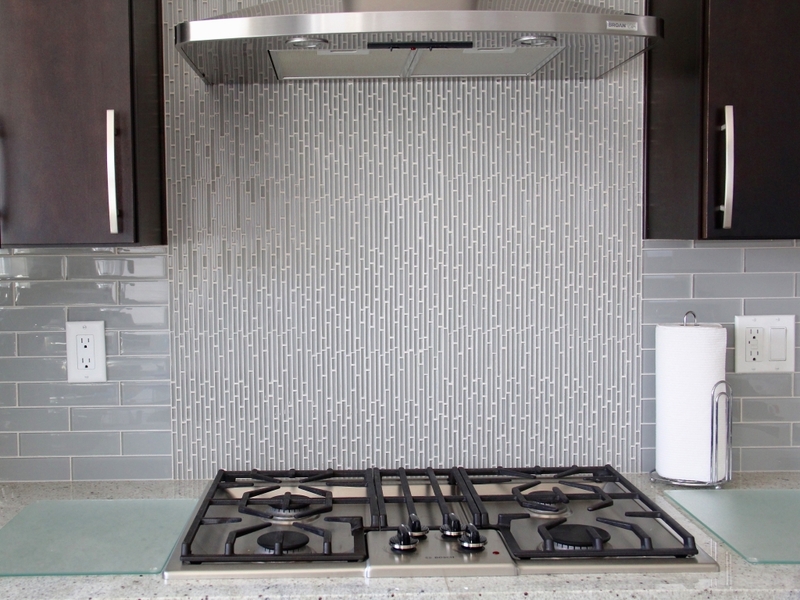 Dipti was obsessed with her kitchen back splash for days after she had it installed. She wanted something super modern but didn’t want any color variation at all (surprise surprise). She picked a gray subway tile under the cabinets and a thin vertical tile above her stove and hood. The difference in size and style keeps it super chic while keeping it monotone at the same time! Dipti is a big believer in Radha Krishna and Momma Vaid gifted her this gorgeous statue for their house warming. She wanted to make a very special place for it and wouldn’t rest until it was done. 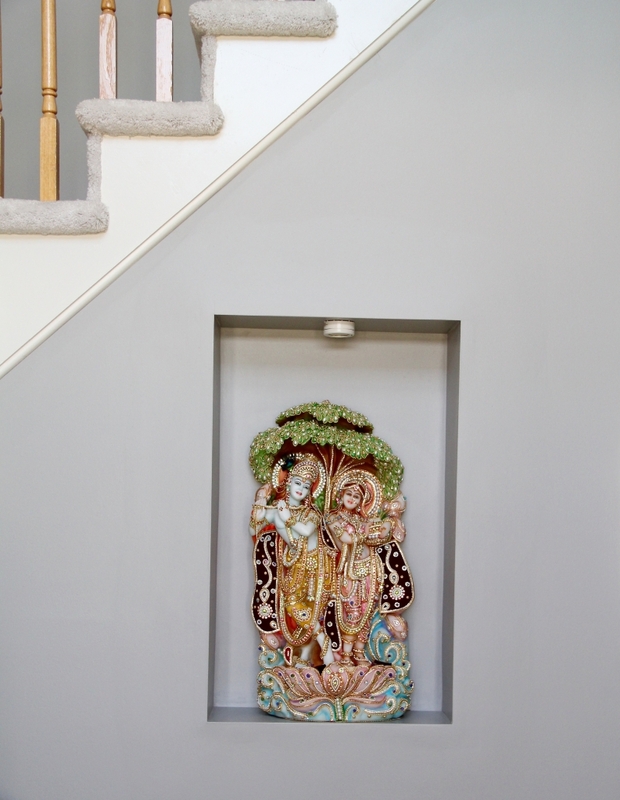 At the entrance of her home she had a nook built with a spot light that was the perfect fit for the murti. At night the Radha Krishna lights up their entire house and it looks divine. 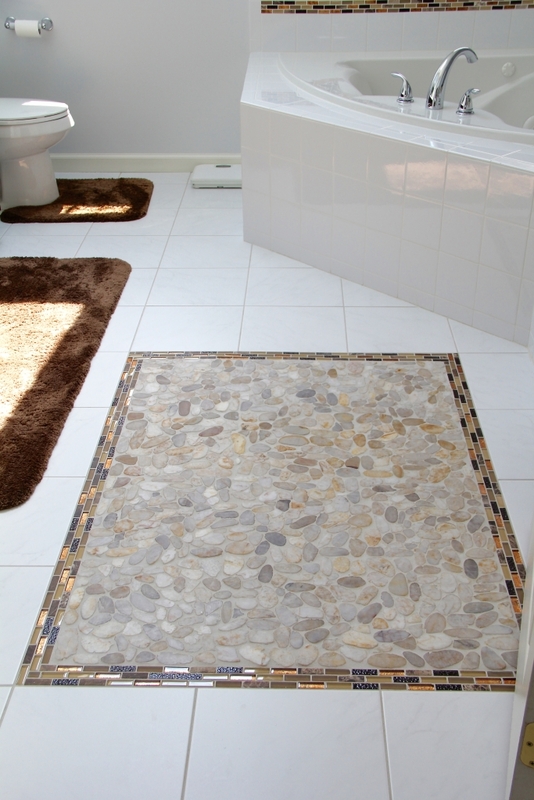 For her master bathroom Dipti wanted a tile rug that would add a high end look to their rather plain bathroom. 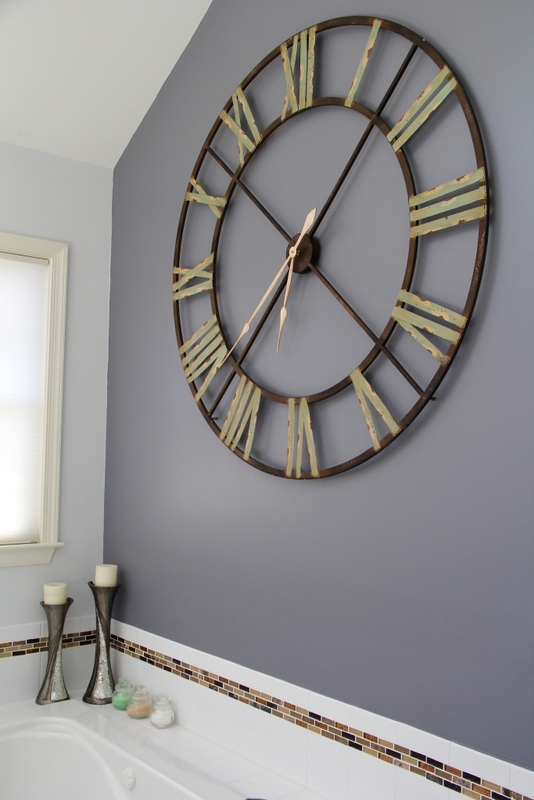 She also added an oversized clock as a statement to complete the room. 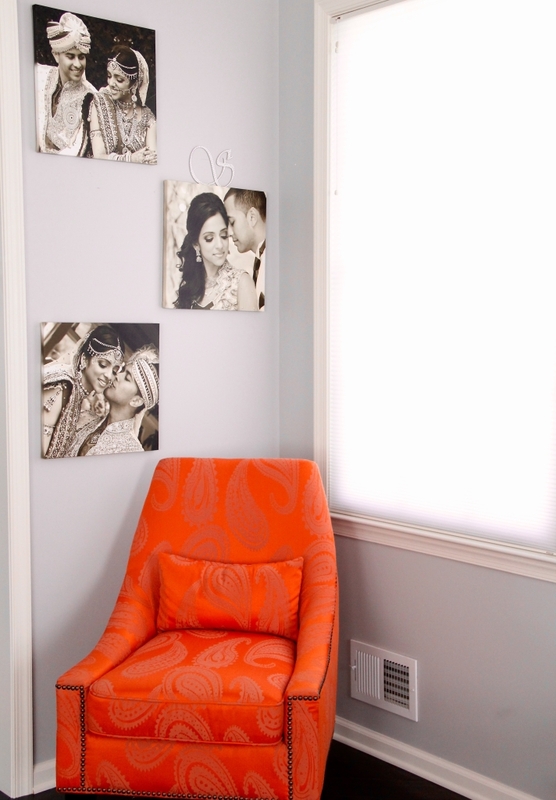 In their master bedroom Sachin wanted to add pictures of their wedding. 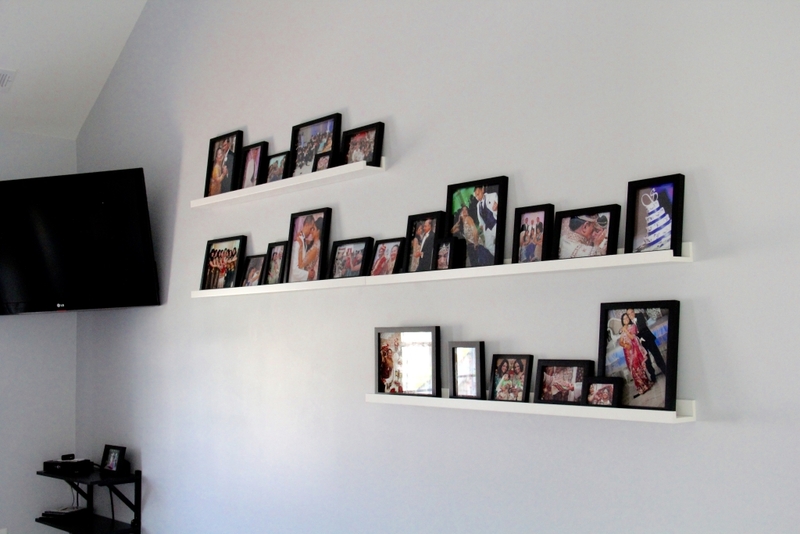 So they got Ikea shelves and placed various sized frames with pictures from their wedding and reception. Every once in a while they’ll look at them and talk about the funny/sad/disaster moments of the happiest day of their lives – it’s kind of great! We’d love to hear your thoughts on her design choices and any recommendations as she tried to add her final touches!